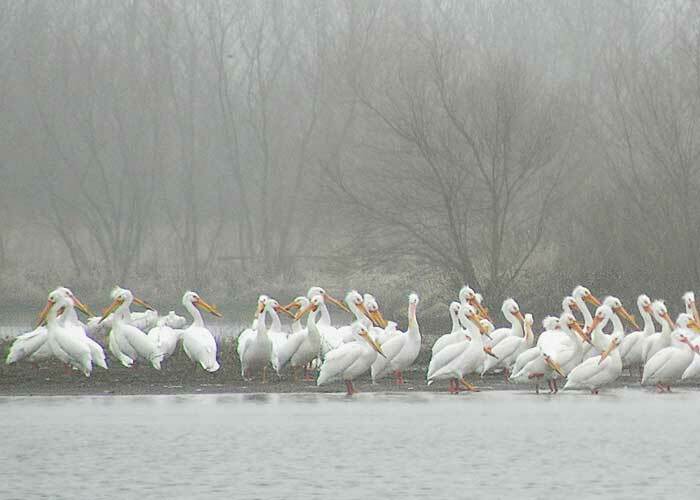 These are a few of about two hundred pelicans, making a brief stop at a wetland off the Cedar View Trail, west of Fairfield, Iowa. They're on their way to their breeding grounds in the Dakotas and Canada. They spent the winter in the Southeast or Central America. 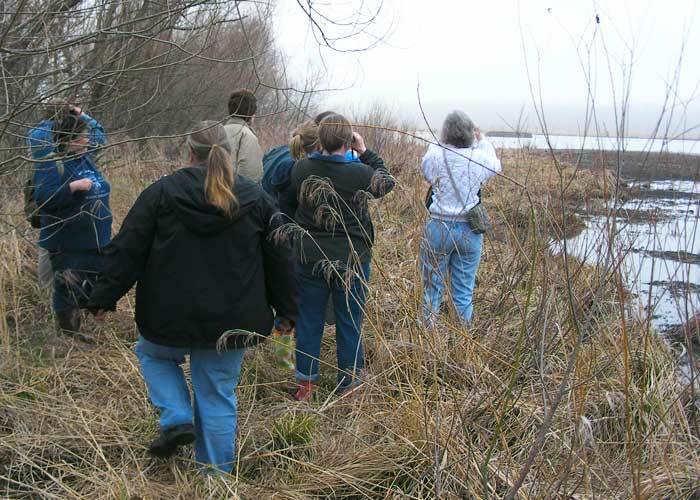 Jefferson County Park naturalist Therese Cummiskey picked yesterday to organize a trip to see the pelicans by noting that local photos of pelicans in recent years were from the second week of April. 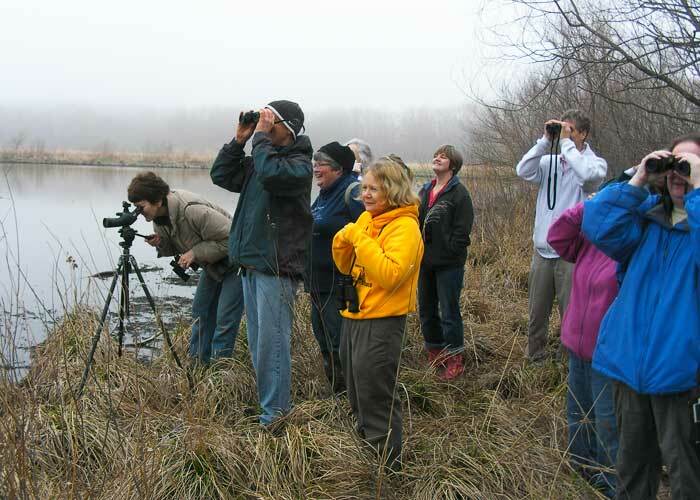 Birders observed the pelicans after a short hike into the wetland. The first optics a birder needs is a good binocular. 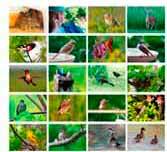 If you then want to see birds far away, such as pelicans at a wetland, you will really enjoy a spotting scope. A small, lightweight spotting scope that we don't mind slogging through a marsh with is the Nikon Fieldscope 15-30x50. Sweet little scope! It's the scope you also see in one of the photos at left. When we tested it for a review, we found its optical quality excellent.